Choose a theme to go with your party or simply order a plane Moonwalk ! 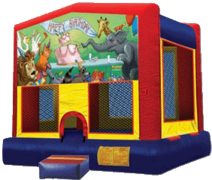 Enjoy an afternoon of bouncing around inside this spacious moonwalk! 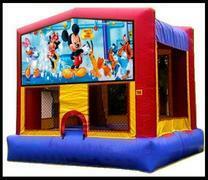 Everyone loves Mickey and his friends, So bring them all to your next party with this Moonwalk! Bring fun and adventure to any party with the Power Rangers Moonwalk! 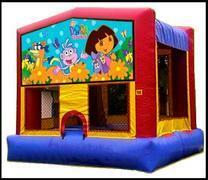 Bounce for hours alongside Sponge Bob!